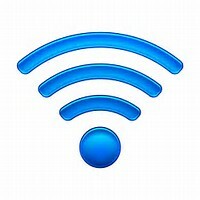 The wifi service is now available for the community to use within, or in the vicinity of, the Hall. There are 6 wireless networks available – all commencing with the letters “WAP” – 3 operating at 2.4GHz and another 3 at 5GHz. We have measured the download speed at nearly 80Mbps and upload at 20Mbps. Select the network and log in through the Wreningham Community Hub homepage. Password access is currently not required, but that may change. When you use the service please be aware of the Terms & Conditions.